Kalena started swim lessons on Monday. 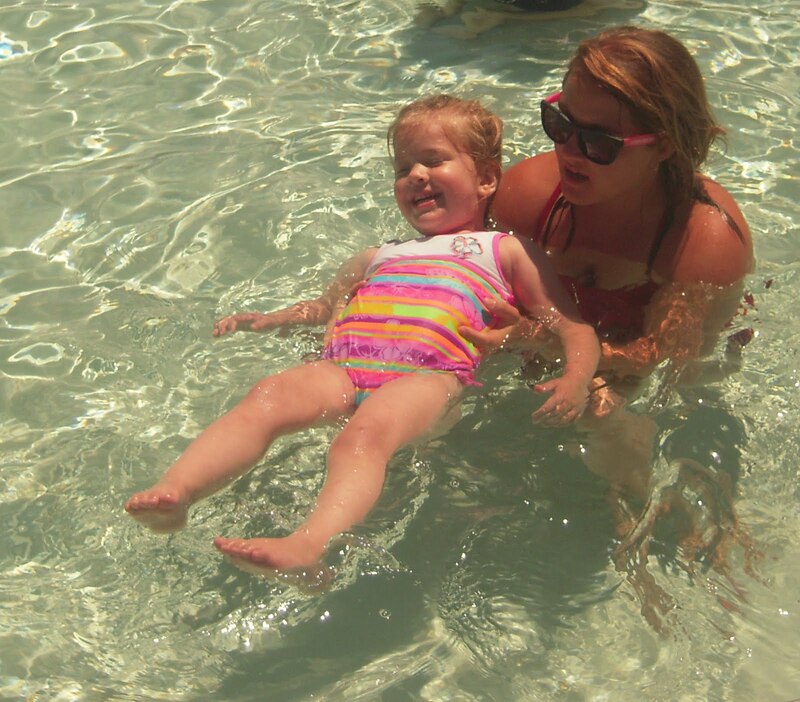 I held out until she turned 3 because I had no intention of actually getting in the pool with her. (Especially since that would mean needing someone to watch Will during all her lessons.) And on Monday when we got to the pool and it was only 58 degrees, so I was extra glad I didn’t have to get in. Fortunately Kalena was not deterred by the cool, cloudy day. Here she is being too cool to have her picture taken. Learning to back float. Her teacher said she had some trouble with listening and following directions, but I sort of think that’s just because she’s 3. 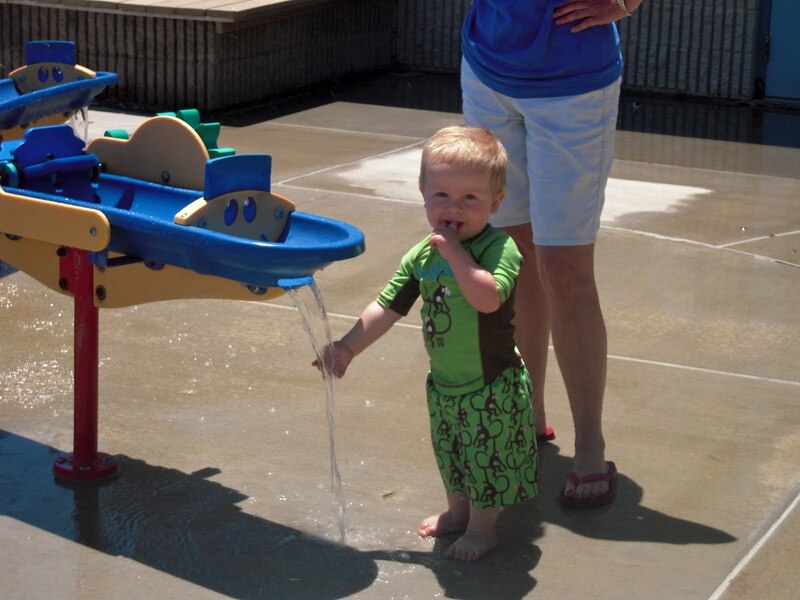 And while Kalena has lessons Will gets to play at the splash pad. Of course, this was all we could get him to do. Well, he would do this and let my mom carry him around. Good times. I am always very interested to see how the swim lessons go for the little ones. I am tempted to put Elizabeth in swimming lessons but I am not sure she's old enough yet. A bunch of her friends are doing it this year though. 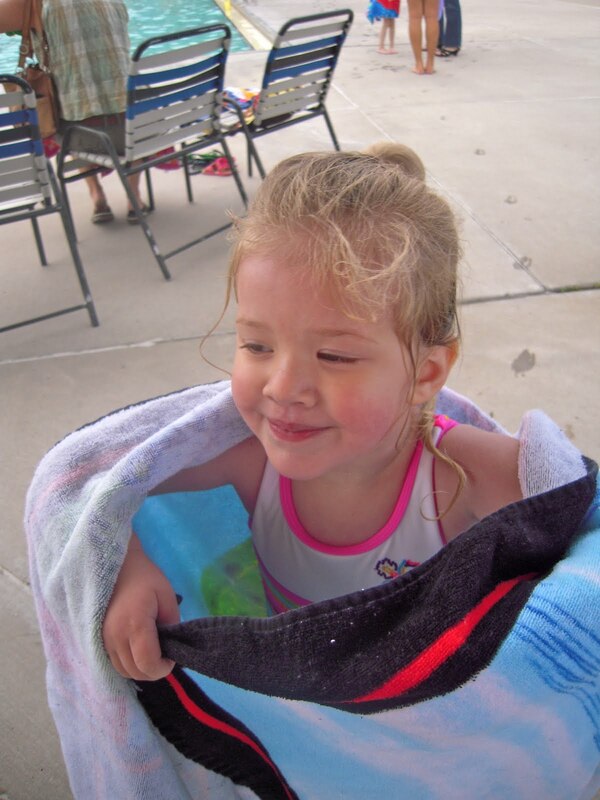 After watching her play in the pool at mom and dads I could tell NOTHING would deter her from getting in the water. Looks like you have a swimmer on your hands!